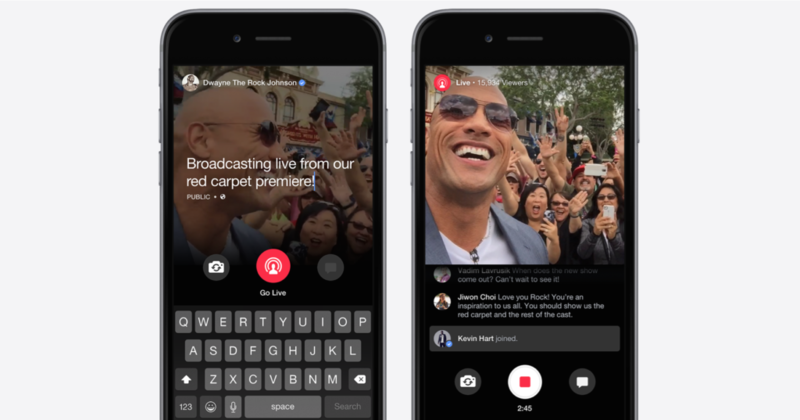 Facebook is paying over $50 million to publishers and celebrities who produce live video content, according to “a document” reviewed by the Wall Street Journal. Facebook has contracts with almost 140 publishers and celebrities, the report said. They also made deals with several media partners following the launch of its live streaming platform last summer, but the value of these deals was previously unknown. The terms of each “varies wildly,” according to the Wall Street Journal, but BuzzFeed’s deal is the most valuable at $3.05 million. In total, at least 17 are worth more than $1 million, including deals with the New York Times and CNN, cha-ching! Facebook is also paying a handful of celebrities to live stream, including Seattle Seahawks quarterback Russell Wilson, actor Kevin Hart and celebrity chef Gordon Ramsay, along with YouTube stars and institutions like the American Museum of Natural History in New York. The arrangements are a way to encourage publishers to produce a steady stream of high-quality videos until Facebook figures out a more concrete plan to compensate creators, such as through sharing of ad revenue. Facebook is already a major video hub. Users watch 100 million hours of video daily in their news feeds. Its not surprising that Chief Executive Mark Zuckerberg is betting that live videos will provide a further lift in user engagement, getting people to come to the service more often and stay longer. One indication of the importance of live video: when publishers stream something live, Facebook automatically sends a notification to their Facebook fans. Even though Facebook is an advertising powerhouse (it accounts for nearly 20% of U.S. mobile ad revenues, according to eMarketer), it has yet to tap into digital video as a major revenue source, unlike Alphabet Inc.’s YouTube. That market, which is worth $9.8 billion in the U.S. alone, represents a big opportunity. Maybe this will be the big break?